Now you can give the gift of homemade yum any time, to anyone. 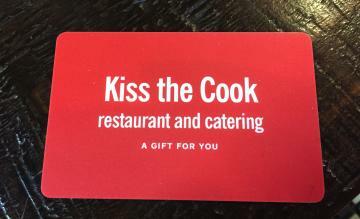 ANYWHERE!----With Kiss the Cook eGift cards! Luscious Lunches & Dinner on Demand! For sixteen years, we've been Paragould's favorite place to celebrate lunch. Whether you are having one of our daily lunch features, eating from our line of take-home Dinners On Demand, or enjoying our corporate and event catering, we want to provide you with the very best in fresh ingredients, local produce, and Homemade Yum. Ask your server about our daily lunch specials, plus desserts and soups of the day! Want to take something home? Call ahead and pickup at our convenient Drive Through window. Our homemade deli items, plus all your favorite specialty sides and homemade dressings, are available everyday! If you're seeking something fresh and unique to satisfy your taste buds then you have found the right place! 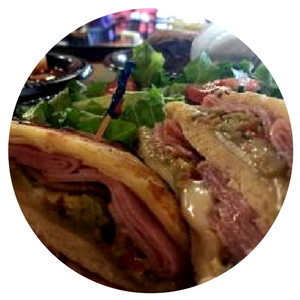 Kiss the Cook features a variety of savory wraps, specialty sandwiches, soups and salads----all freshly prepared with homemade ingredients! From sumptuous ready-made casseroles you can grab and bake at home to bulk-sized homemade soups, we have something that is sure to bring the family together for dinner! We love hearing from you. Leave us a message and we will get back to you within one business day.